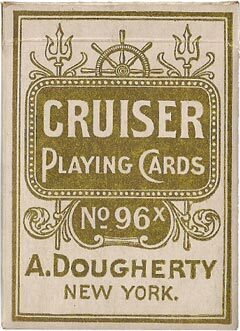 Dougherty's Cruiser No.96, first published c.1897, was dedicated to the U.S. Navy. 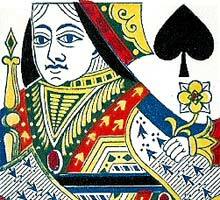 The Ace of Spades has a warship and the Joker is a sailor walking with a goat (the mascot of the Naval Academy at Annapolis). The back design includes torpedoes. From the 1890s on Dougherty used either Andrew Dougherty or A. 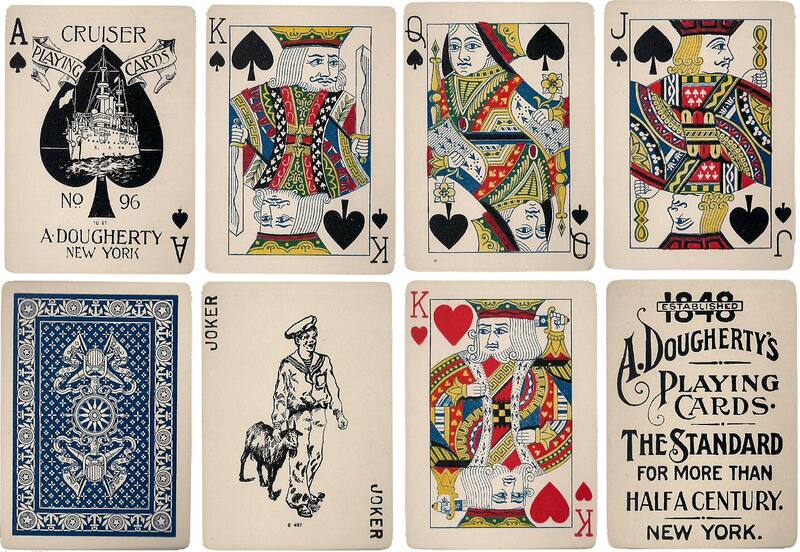 Dougherty on his Aces of Spades. As a general rule, the longer version was used on the earlier version of each brand. 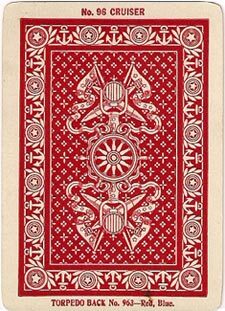 The later version of Cruiser No.96 came with the simpler name on the Ace of Spades (as shown here). 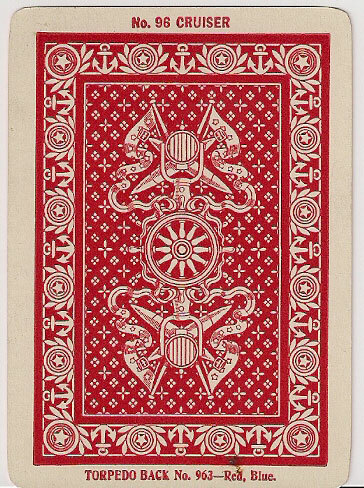 Above: Dougherty's Cruiser No.96x playing cards, c.1905, the 'x' indicating the gold edged edition. The box includes maritime artwork and the 'Torpedo' back was either red or blue. Images courtesy Rod Starling. ← Left: click image to zoom. All images from the collection of Rod Starling.